The leaves are falling, there’s a chill in the air. It’s Autumn in London – our favourite time of year! We’re introducing two new seasonal doughnut flavours to the Crosstown line-up to warm the soul on these leafy London days. 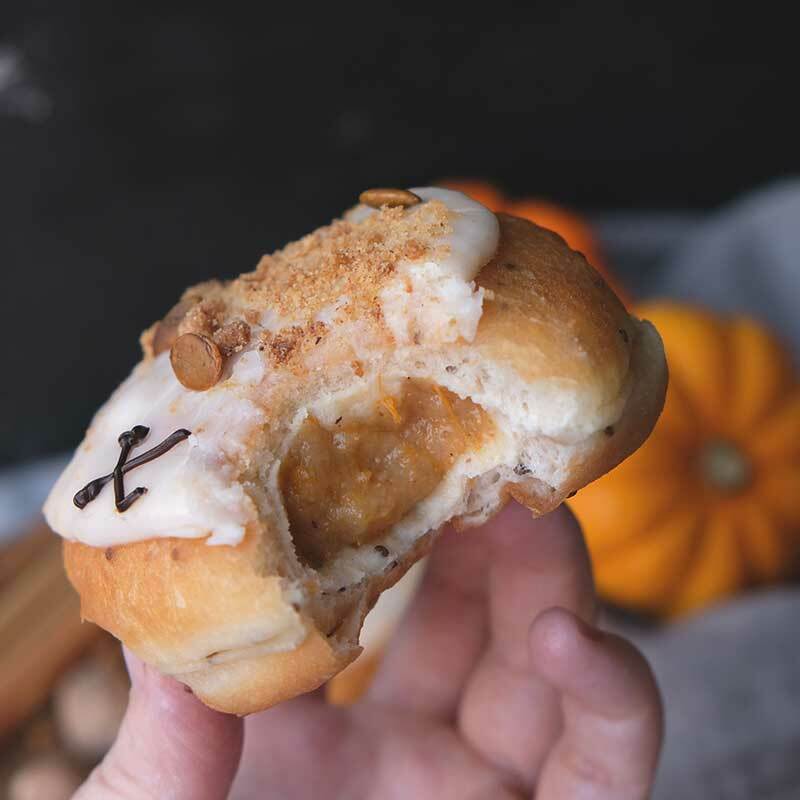 In time for Halloween and Thanksgiving, we’re welcoming our take on a traditional American dessert, the pumpkin pie! 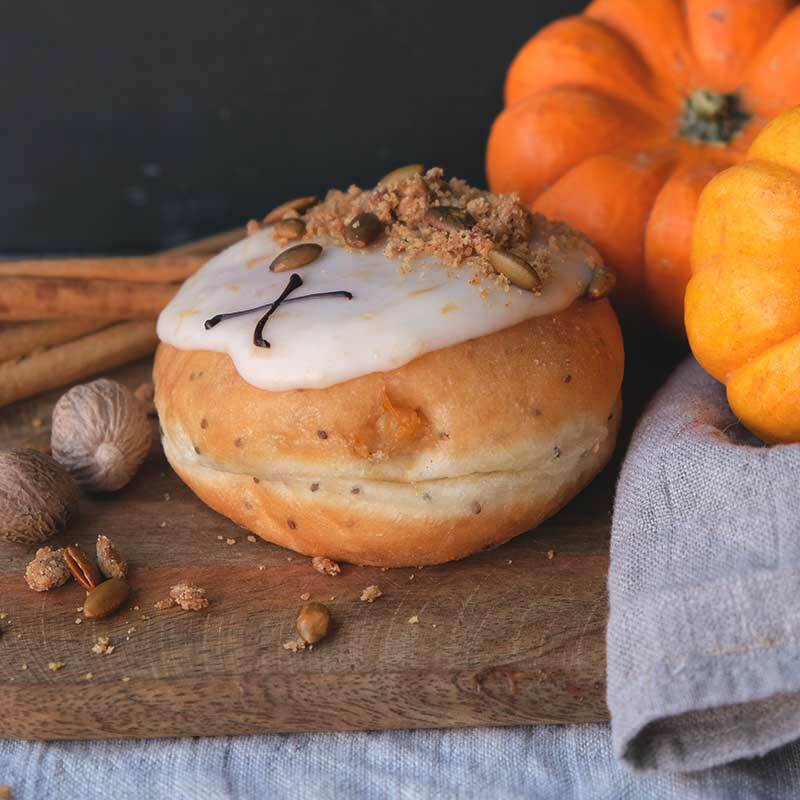 We’ve taken our vegan sourdough base, filled it with a spiced pumpkin (vegan) custard, topped it with a pumpkin glaze, and finished it with a cinnamon and pumpkin seed crumble. As always, we’ve used the finest ingredients to make each doughnut by hand from scratch. 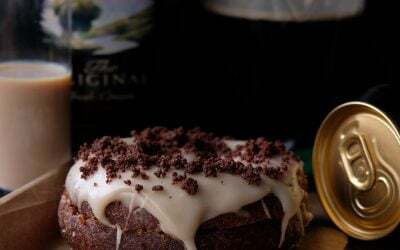 For chocolate lovers, we’ve got something very special dropping on Sunday the 28th October. 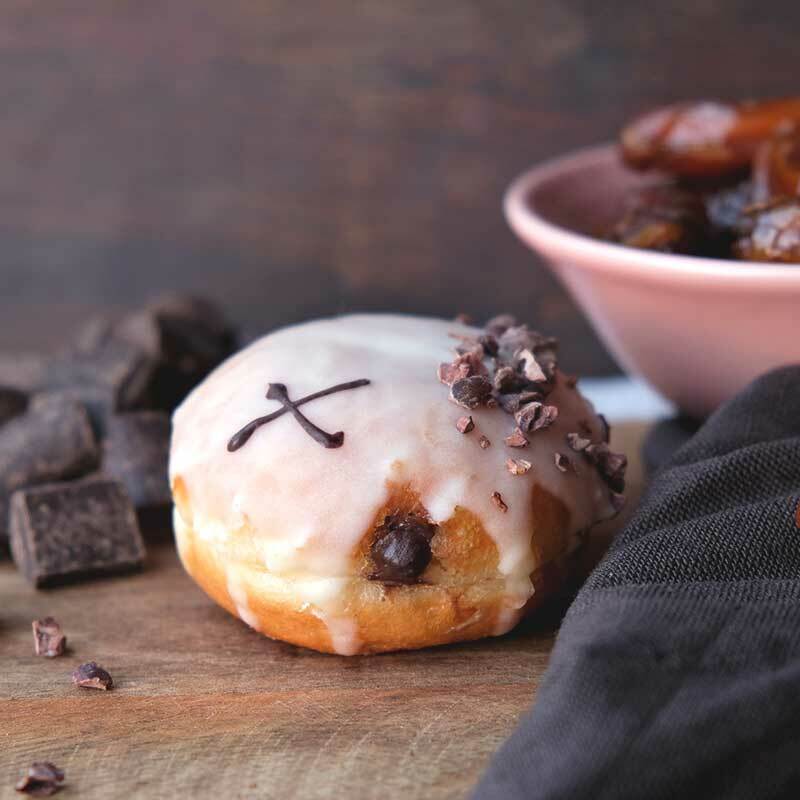 We’ve taken our signature dough bites and filled them with a smooth medjool date & chocolate custard, topped with white chocolate glaze and crunchy cacao nibs. 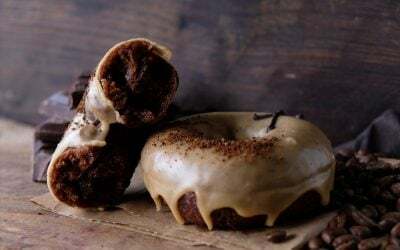 The Chocolate Medjool Date dough bite & Spiced Pumpkin sourdough doughnut, will be available in stores, on-demand & ordered direct from the Crosstown website from Sunday 28th October.